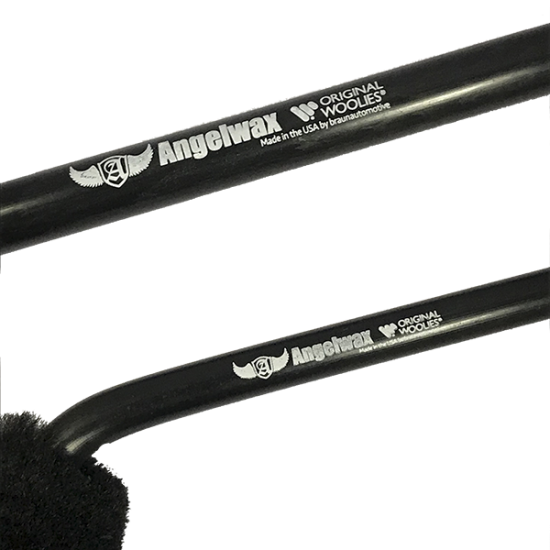 Angelwax have teamed up with the Braun Brush Company in New York to give our discerning clientele the highest quality detailing accessory. 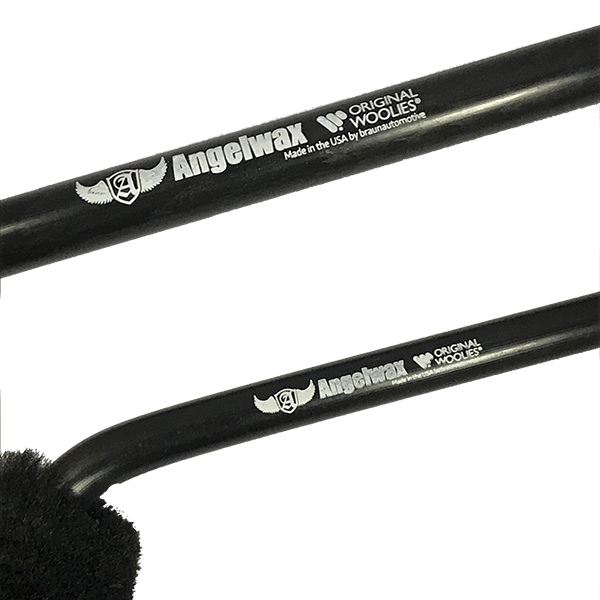 These are the best wheel brushes available on today’s market and even though cheaper ones are available, it isn’t worth the risk using substandard, poorly made items which will probably cause damage to your expensive rims. The versatile Wheel Woolies® Kit, which includes an A & B Kit, ensures that you're ready for a variety of auto detailing jobs. Each brush will not mar surfaces and they are designed to last, even when used with harsh chemicals. The Wheel Woolies Kit includes 3 sizes, each specifically designed for different jobs. The small brush is great for slim gaps that are difficult to get into, such as narrow spoke wheels. 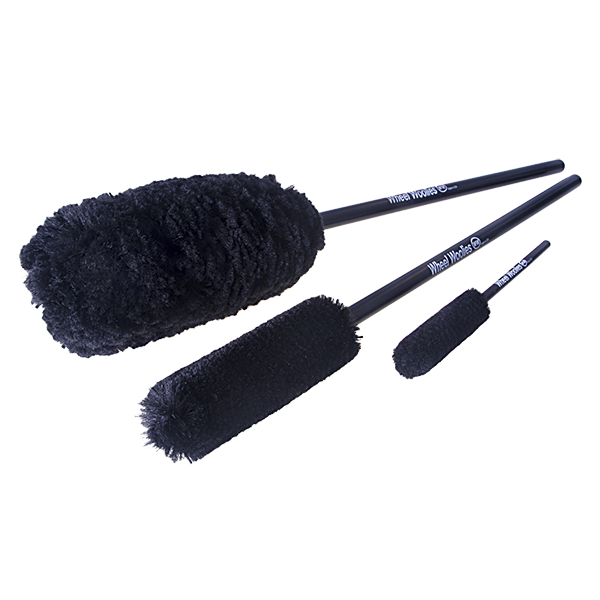 The medium brush can best be used in areas such as your vehicle’s engine, door jambs, air diffusers, etc. The large brush will effectively scrub deep within the wheels and the wheel walls of any automobile, no matter its size. 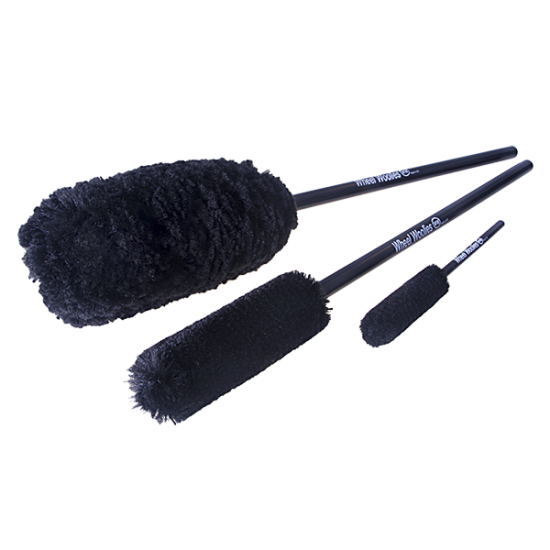 The 18" Brush has a 1¾" diameter brush head for aggressive use in smaller spaces compared to the 18" Large brush which has a 4" brush diameter.